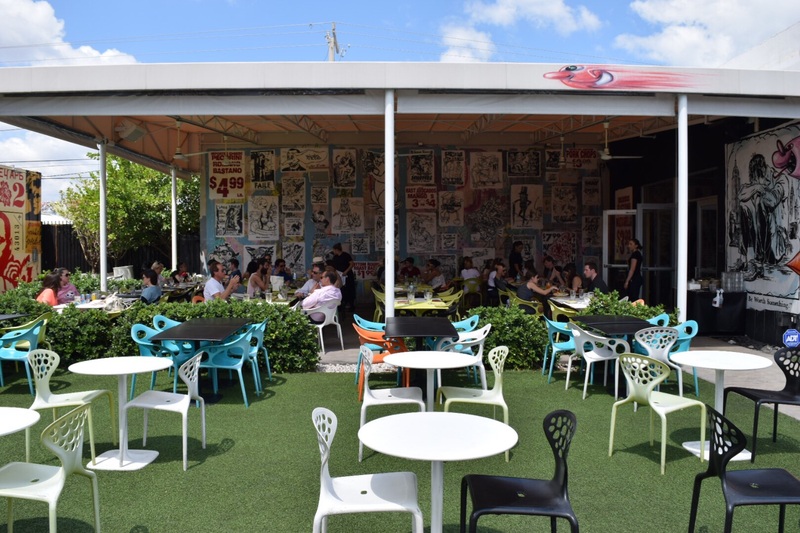 After a 20 minute taxi ride from the luxurious Metropolitan by COMO on Collins Avenue, where I was staying in Miami, I was at the famous Wynwood Arts District of Miami. 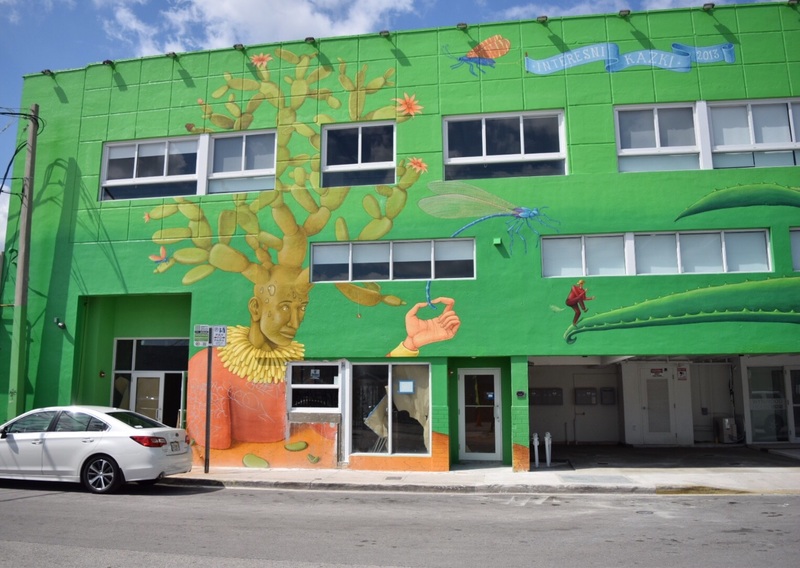 Situated between North 36th Street and Northeast First Avenue (east) in greater Miami and not too far from the design district. 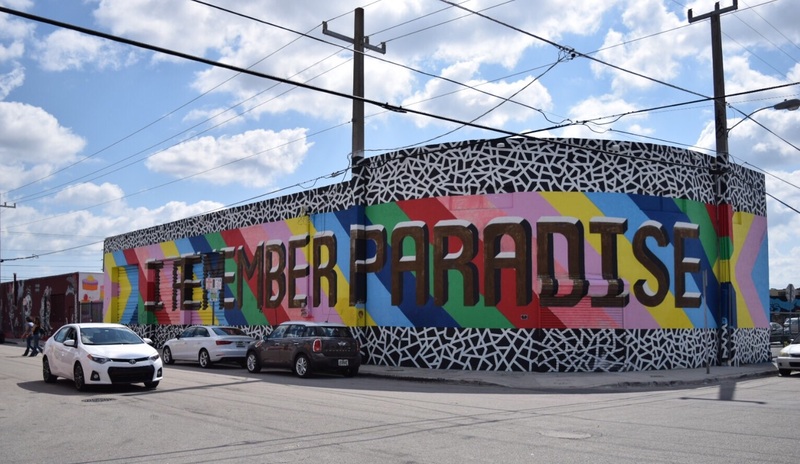 This renown Arts District is home to over 70 Art Galleries, museums, private collections, Shops, Restaurant, Bars, and one of the largest open-air street-art installations in the world. 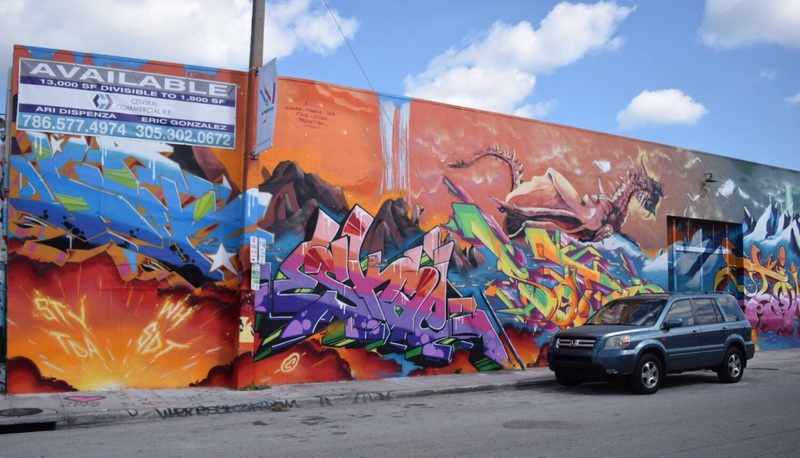 The Wynwood Arts District formally took shape in 2009 and is regarded as one of the trendiest neighbourhood in the United States. The area used to be the warehouse and manufacturing district of greater Miami. After the decline of this sector, developers saw the opportunity to convert this area into a creative hub of a different scale and it has become one of the biggest and most prominent creative communities in the United States. 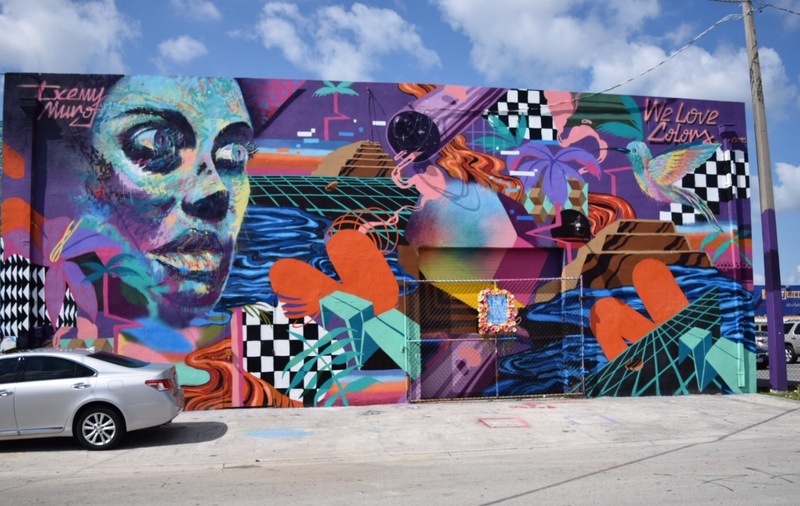 The popularity of the Wynwood art district has continued to see a significant growth thanks to Art Basel Miami, one of the largest and most glamorous art fairs in the Art World, which takes place annually in the first week of December. During my trip to this outstanding creative centre, I met both local and international visitors who were equally impressed with the scale and variety of exceptional talent on display. 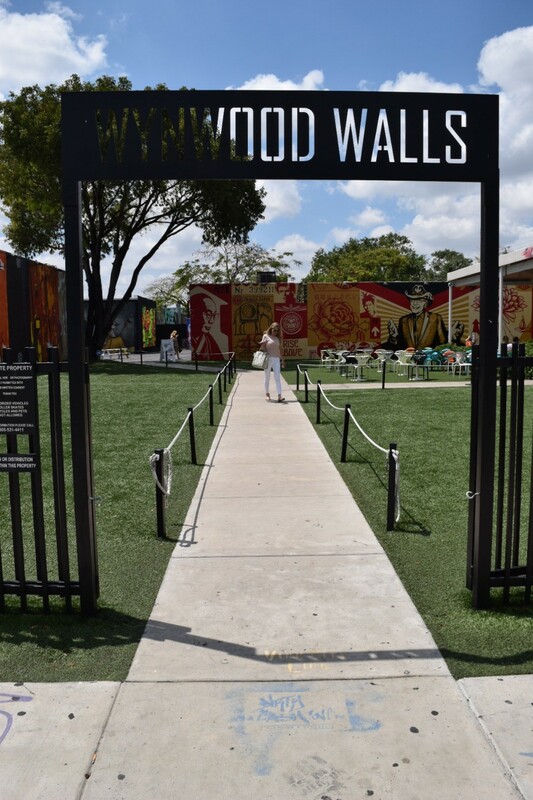 Bubbling with excitement, I started my tour at Wynwood Wall, the epic centre of the Wynwood art district, a creative park dedicated to Mural and Street Art, which also has an Art Gallery/ Studio Space. 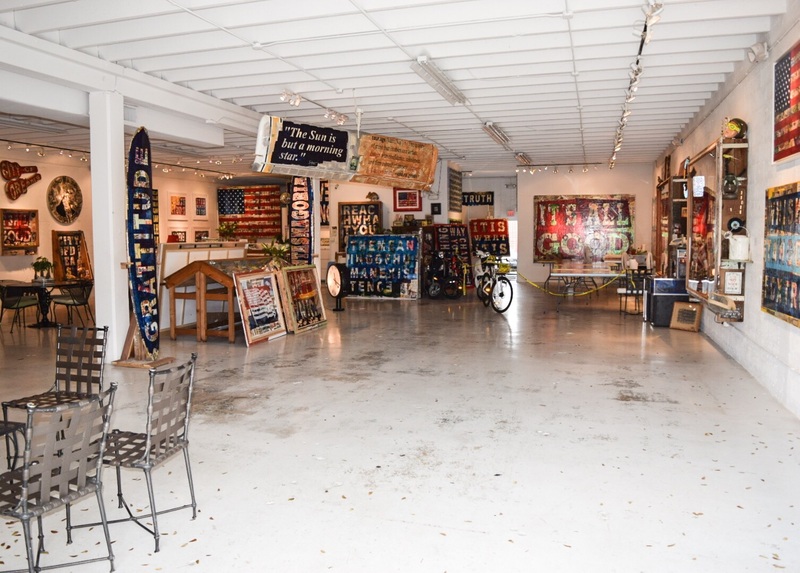 The Art on the walls and garage doors were created by both international and local artist. 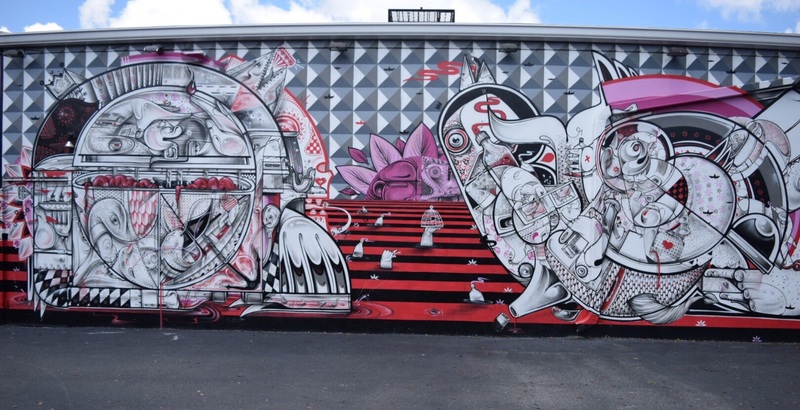 Wynwood wall is a must for any art lover or visitor to Miami. It is nothing like you have ever seen before. 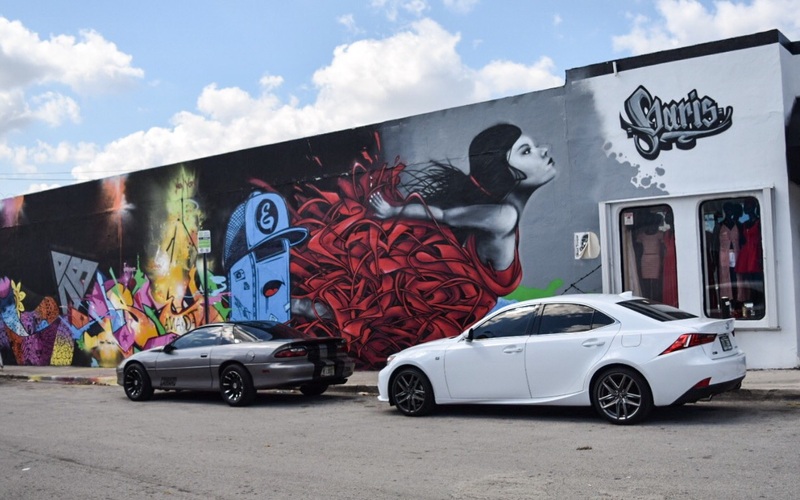 Wynwood wall was created by Tony Goldman who had the foresight to revamp the area, as he did with the rundown Art Deco building in South Beach in the 1980’s. 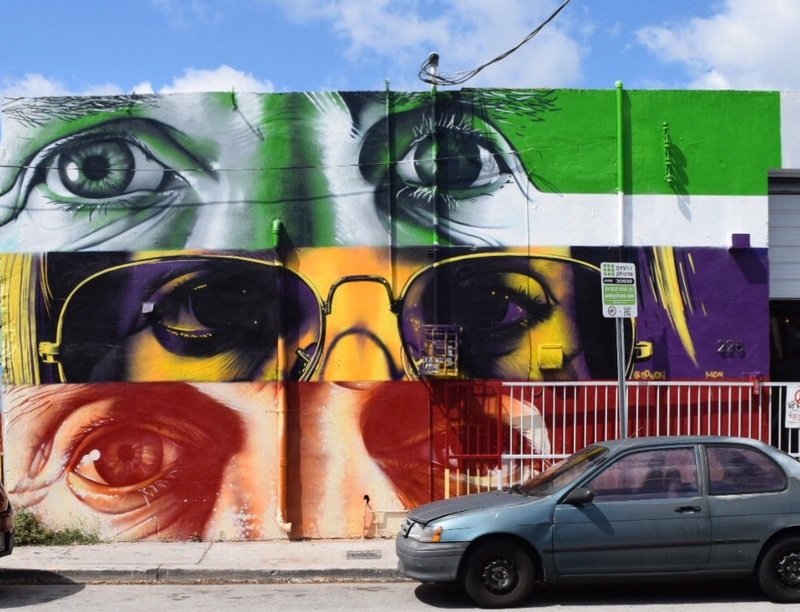 He saw the potential of Wynwood and had a vision to create a large area dedicated to Street Art that was unique. This was borne out of the need to bring some respect to Street Art, which was often unappreciated. 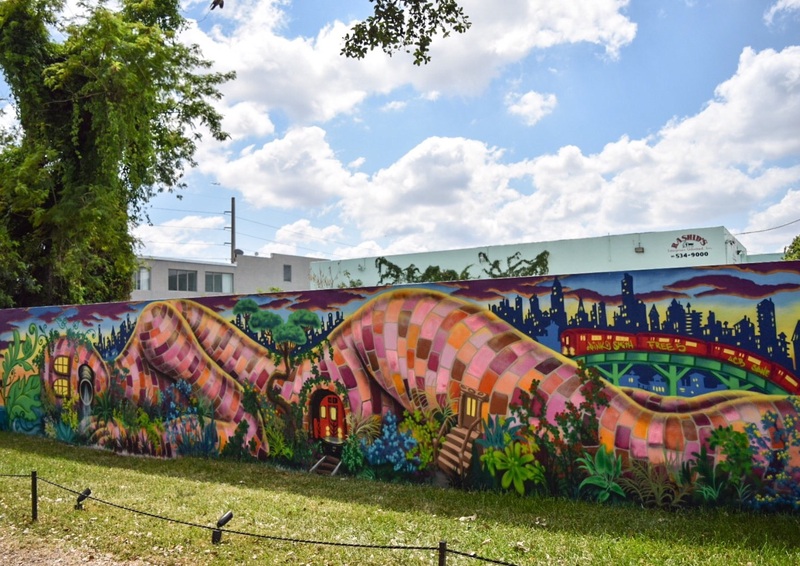 Since its beginning in 2009, the Wynwood Walls programme has seen over 50 artists representing 16 countries and have covered over 80,000 square feet of walls. 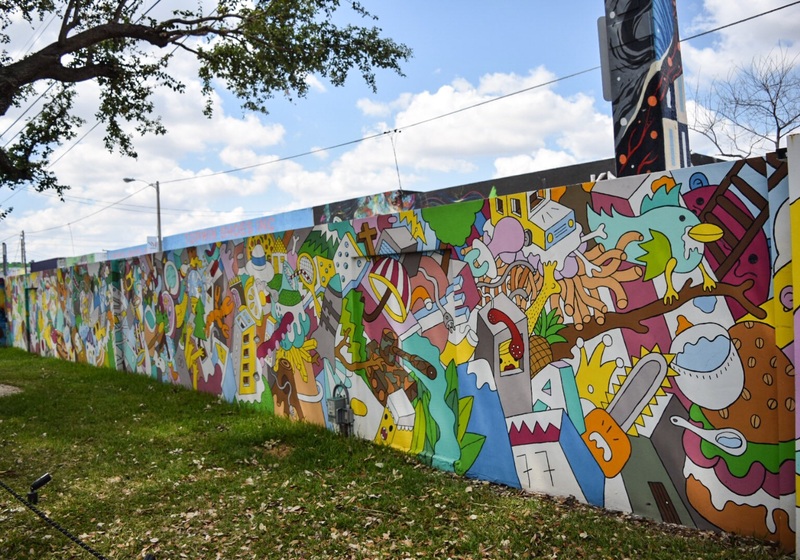 As I approached the gate with Wynwood Wall carved into it, I was greeted by manicured grass to my left and right with walls covered in amazing colours of painted lines in different shades, thickness and colours and other shapes you can’t really described, but can be enjoyed without narrative. There was also a restaurant at the venue with people enjoying the art around them with food and drinks. 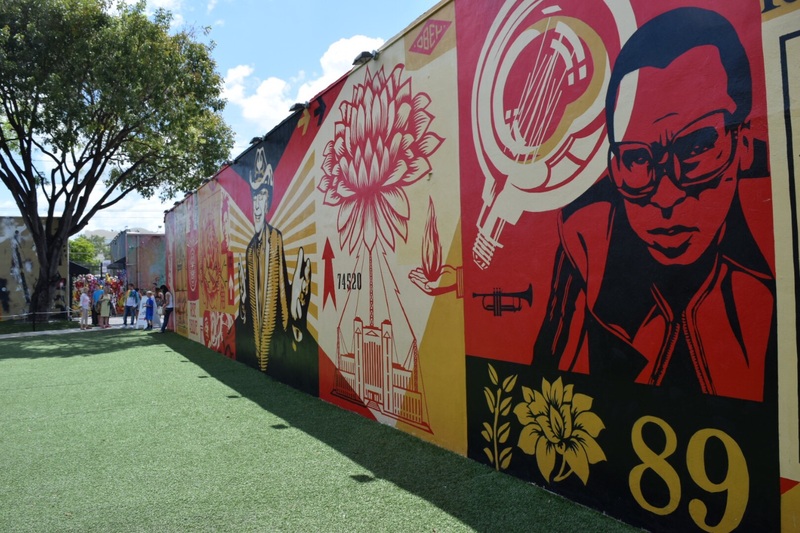 Looking straight ahead, there was a large mural in red, black and a colour I will describe as mustard of prominent figures and symbols created by Shepard Fairey in a modular design using both old and new motifs and images. Walking around I was greeted by walls covered in large murals of creativity. It was a pure oasis of Street art, which was enjoyable. In the corners of the park area, were these continuous works of art that went on forever. I love the pastel colours used in the mosaic tiles like creation of a giant lying in a garden with a railway train running through its tummy:) This amazing mural was created by Lady Pink from Ecuador. On the adjacent wall, was this never ending cute cartoon like detailed imagery depicting a mishmash of different abstract objects, food, animals, the weather, trees and plants. It seems the entire ecosystem and people’s consumption pattern was represented on this wall in a playful manner. I like the way the walls are low enough and you can see the eyes on the other building peering over the wall looking in, to see what was happening, like a nosey neighbour:) This mural called,” A sea of Objects” was created by B. from Athens Greece. The idea of having garage like doors covered in art was impressive, as it brings to mind, the street art I normally see on shutters of shops at home. Below is my favourite work of the Doors. I am intrigued by the complex technique that went to its creation. 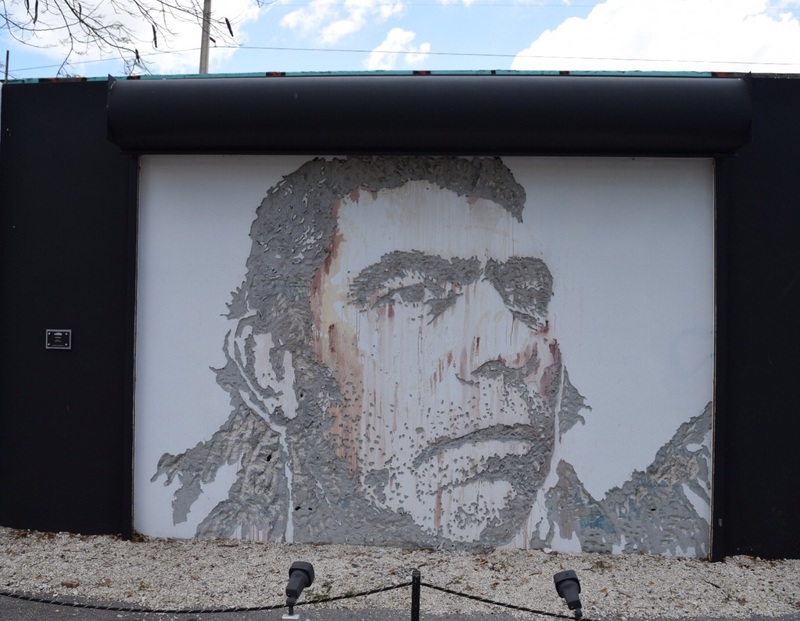 The chipping away of the wall with a hammer and chisel to reveal a portrait.The artist must have bags of patiences, I wonder how long it took him to create this. As I was about leave, I saw this sign pointing to an entrance of a warehouse and I walked in. My eyes scanned the warehouse space and I could see a consistent colour of the United States Flag of Red, blue and white across the room, I was intrigued. The next thing I noticed were the positive words and phrases depicted in different art forms (Courage, Gratitude, It’s all good) in frames and on surf boards. On closer inspection, I noticed the mixed media collage and recognised some household and consumer brands in the works. All fascinating:) I looked at the price tag and some of the works ranged from $25,000 – $150,000!! 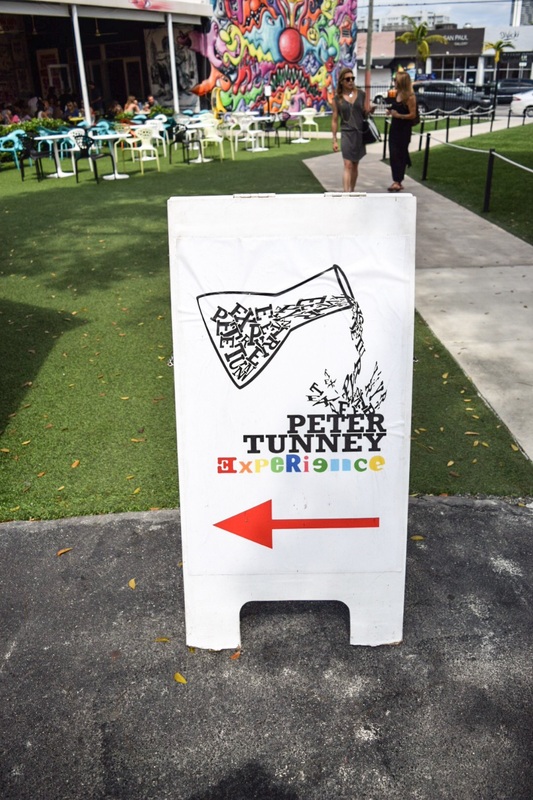 The works in the gallery was created by Peter Tunney an American Artist whose work has been exhibited internationally, also at Art Basel Miami and can be found in many private collections. He has translated his works from canvas to billboard which can be seen on the way to the Yankee Stadium in New York. His artistic practice involves using mixed media and affirming “Gratitude”,” Don’t Panic”, “The time is Always Now” and “Everything is going to be Amazing” in his works. It was a great opportunity to see a mixture of street art and mixed media art in a single location. After this, I left Wynwood Walls to explore the artistic delights on the buildings around me that were catching my attention. 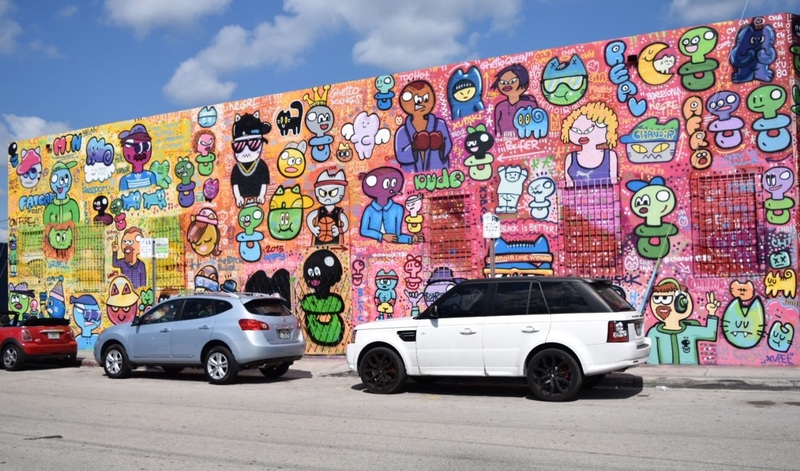 The best way to experience the Wynwood Art District is by foot, walking around taking in and admiring buildings completely covered in different shapes and vibrant colours of Art was a delightful experience. I took my time, explored and enjoyed most of the artistic offerings in the area, before I knew it, I had spent almost 5 hours walking around. Good exercise and thank God I wore comfortable shoes:) The weather was nice and not too hot, so it made for a more pleasant experience. Here are some of my highlights from my tour of this artistic heaven. These are my two favourites buildings covered in Art. The entire Wynwood Building is covered in black and white stripes. Walking around, I saw these bikers riding on Harley Davis bikes doing a photo shoot, which looked really cool. 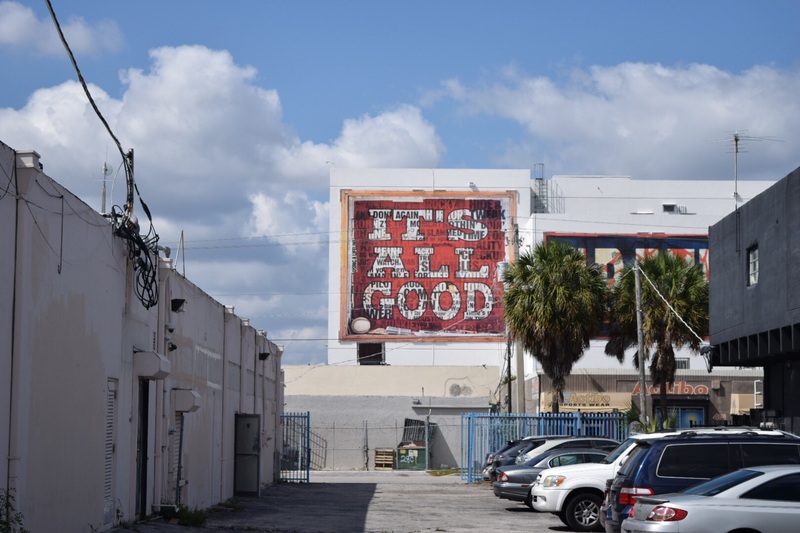 During my walkabout of the Wynwood Art District, I spotted one of Peter’s billboards on one of the buildings. 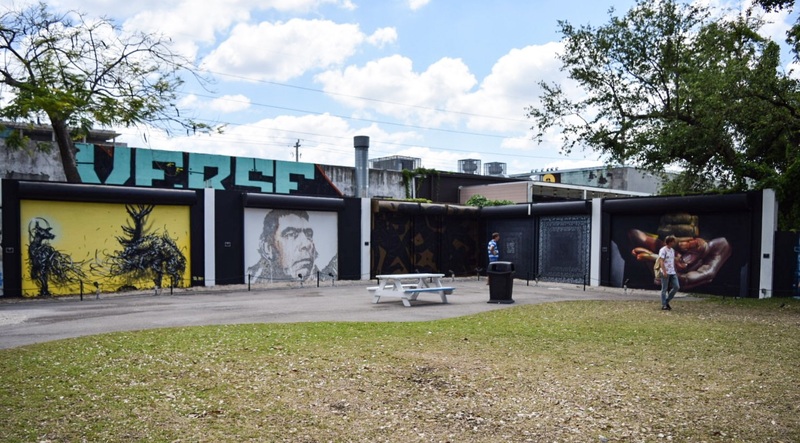 Within the vicinity of Wynwood are museums and art collections. Two private collections open to the public, which are also worth visiting are: The Rubell Family Collection , which is one of the largest private collections of contemporary Art in North America. The other is The Margulies Collection. It is a not for profit organisation located in a 45,000 square foot retro-fitted warehouse with a collection of paintings sculpture, video and installation art acquired over a 30 year period. On the main street of Wynwood wall are other galleries, restaurants and the atmosphere was very lively. 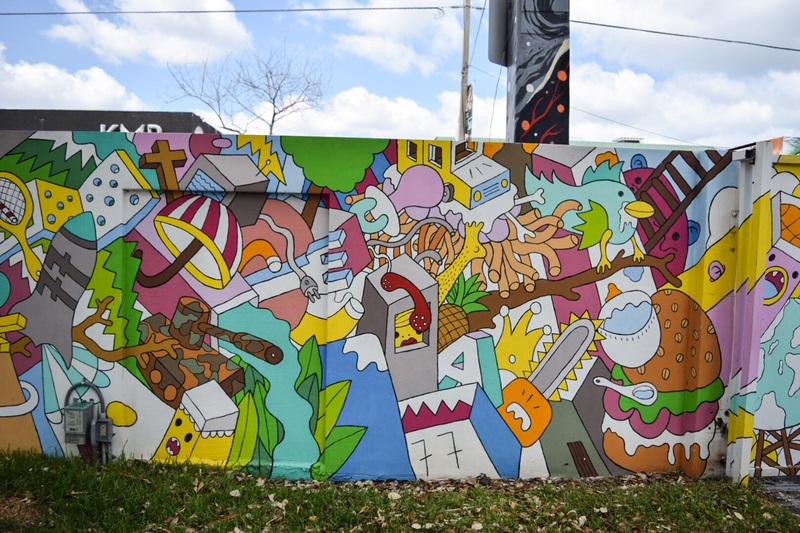 It is also worth mentioning that you can have private events at Wynwood Walls. Imagine having a party or dinner surrounded by these amazing works of art on a light breezy cool evening. 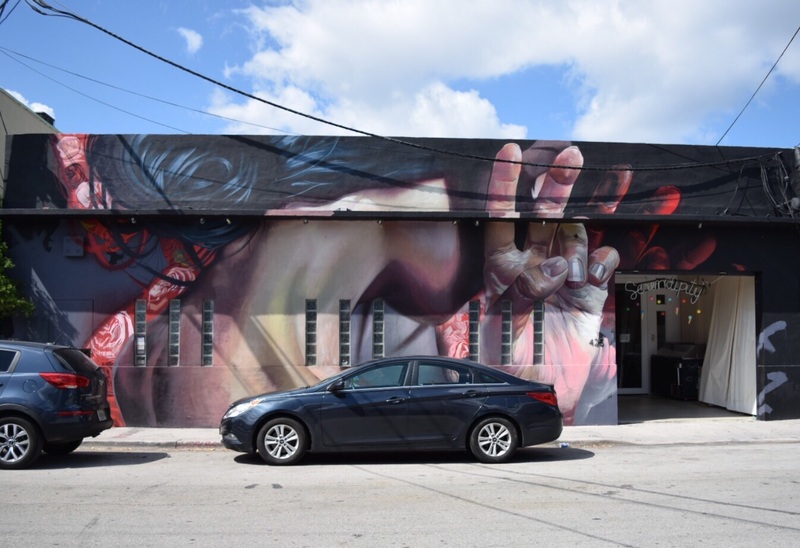 On the 2nd Saturday of every month, an organised tour takes place of the Wynwood Art district, which is worth signing up for, if it ties in with your schedule. 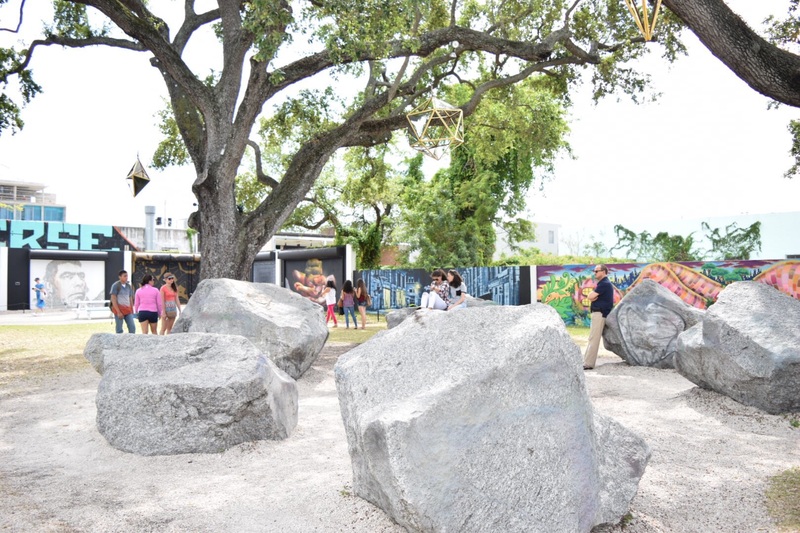 Wynwood is always alive with activities. On the 24th – 25th of April 2015 it will be hosting its 2nd cultural street festival, showcasing the best of art, music and fashion from south Florida. There will be lots to eat and drink as well. Visit www.wynwoodlife.com for more information. 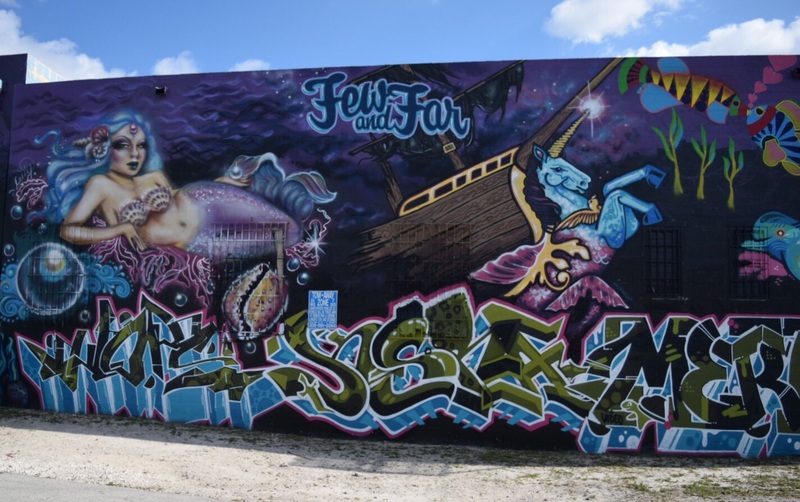 Have you visited the Wynwood Art District? Please comment and share your experience and look out for the my blogpost on my 5 day break in Miami, with more interesting things to do.